Útúrdúr will be in Stockholm this weekend. Come visit us if you are there. 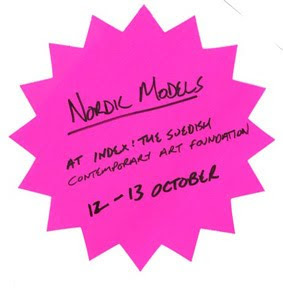 Publish and be Damned: Nordic Models is a two-day convention that brings together independent publishers and distributors from Denmark, Finland, Iceland, Norway and Sweden. The project is conceived by Index – The Swedish Contemporary Art Foundation in collaboration with London-based organisation Publish and be Damned. The convention unfolds as a conference and a fair, which will be accompanied by workshops open to members of the public. Books, fanzines, magazines and critical journals from diverse Nordic cultural scenes will be presented alongside other international publications from the archives of Publish and be Damned. The convention examines whether “Nordic models” in artist-led and grass-roots self-publishing culture are emerging. On the one hand it seeks to identify shared methods for staging and debating the intersection of text-based visual art with literature, poetry, theory, philosophy and translation. On the other, it focuses on the socio-political, economic, cultural and technologic working conditions of the participants in order to explore how their specific perspectives respond to local and international contexts defined by free-market and/or informal economies of exchange.